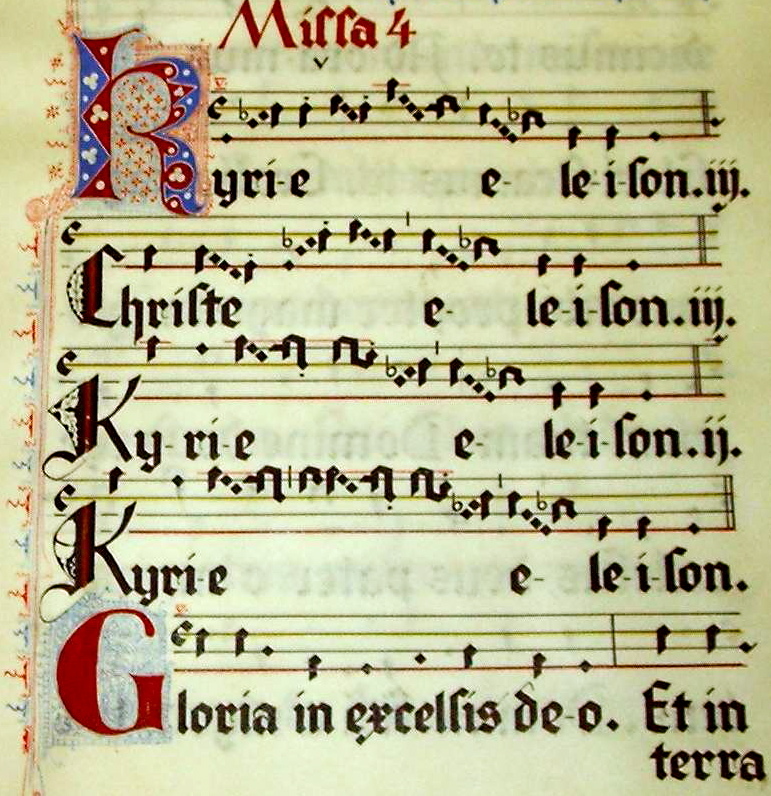 Why sing a ‘Kyrie’ for Lent? Last week at church we sang a small piece of music after our corporate confession of sin. It was too short to be a hymn and to ‘liturgical’ to be a contemporary praise song, even though we did repeat the short chorus several times. After we sang it on Sunday I was reflecting that this little piece of music feels like neither a typical song nor a prayer but something in between…something that most churches never experience. It was truly ‘sung’ prayer if that is at all meaningfully in an evangelical context. What I’m describing somewhat obtusely is singing a traditional “kyrie” – an ancient church prayer based in the OT prayers of Psalm 51:1, 123:3, et al and present throughout the NT as a well known exhortation (Matthew 9:27, 20:30, 15:22; Mark 10:47; Luke 16:24, 17:13) A cry to the Lord – “Lord, have mercy.” No one is entirely sure when the practice of singing it came into being in the NT church. St. John Chrysostom, an early church father records its use in the 4th century and its popularity spreads from there into all corners of the church. Kyrie Eleison is Greek for “Lord, have mercy” and like “Amen” and “Hallelujah” have survived in the church’s use in their original expression. 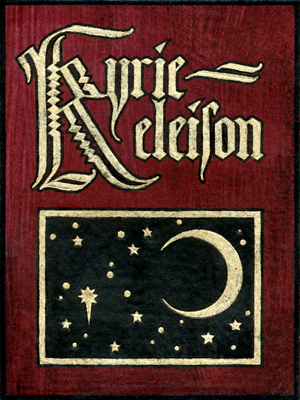 The Kyrie Eleison along with the Gloria Patri and other pieces are what are traditionally called “service music.” They are usually short pieces of music that have been written to serve a specific context in a worship service and they express important and universal forms of prayer, i.e. confession and praise. Sometimes they correspond to specific passages of scripture (Magnificat – Mary’s Song in Luke 1:46-55 ; Nunc Dimittis – Simeon’s Song in Luke 2:29-32; The Venite – O Come Let us sing – Psalm 95) but not always. Do you have any pieces of music in your service that might not fit the definition of a hymn or praise song? What are they and why do you sing them? Whenever people criticize modern worship for their “7-11 songs” (i.e. seven words sung eleven times), I try to remind them that some of the oldest Christian hymns were more like 2-50 songs. The Kyrie is always my go-to example. Good job on Mister Mister. It would have been and incomplete compendium without it. Keep in mind (though you and I obviously challenge it) that our own (reformed) tradition has a tension with the Kyrie. They fairly ask, why do we ask the Lord to have mercy, when He already has, through Christ? It seems a denigration of His finished work. Point well taken. But perhaps we can see it less as the justifying mercy and more as the sanctifying mercy. If we truly believe that sanctification, too, is by faith alone, then we, too, need perpetual mercy for that. The Gospel is point and process. Therefore, it’s fitting to ask for more grace, eh? The other songs that I can think of that fit this bill are typically Psalms. Especially if you are just singing a portion of one psalm or another. They are probably awkward for a number of reasons, the foremost probably being our lack of familiarity and understanding with them which leads to the other reasons of them not being used much(aside from some of the easier ones like Psalm 100 perhaps). I sing them because of the command in scripture to along with the formational aspect of them. If only we could learn to pray with the angst of the Psalmist. And to what you said Zac, I always feel that that people that question the Kyrie for the reasons you stated tend to esteem themselves higher then they should. Why would we ever stop asking a merciful God for mercy? Do I stop telling my childrenI love them just because it is true that I love them regardless of whether or not I state that fact? I realize i am preaching to the choir but those kind of arguments always get to me. also I think your 2007 Kyrie is pretty great. Is your congregation able to sing it well? thanks Craig! My current church is pretty unfamiliar with the tradition so I’m using Kyrie 2006. I think that one is pretty straightforward. I’ve inserted a pdf of the music into our paper worship guide to help out as well. We usually have an instrument (violin, flute) play the melody once and then sing through it 3x. zac, great thoughts. thanks for rounding out some of my comments. Here here! That Kyrie 2007 is unique–really like it! Thanks for including one of my Kyrie’s in this! Keep up with the great posts. Sarah and I resonate and look forward to meeting you sometime. Pax. I first heard it at Orangewood in Florida. Yep. My wife and I are huge fans of Reggie. Just went full time last summer into music ministry at Restoration Anglican in North Arlington, and I am so thankful for this resource which a few friends (Wendell Kimbrough and Ben Bowman) have pointed me to. A couple of the Eucharist pieces and Benedict’s 2007 Kyrie have been great additions to what we are doing. Thanks!